Hold down the OPTION key during boot and choose the “Recovery” option, or Hold down Command+R keys during boot to access the Recovery HD partition. Which method you will want to use depends on your Mac model, but the OPTION trick works on every Mac. You’ll know you’re in recovery mode because the standard desktop won’t be displayed, replaced with a limited Mac OS X Utilities window and a simple Mac OS X menu bar. Here you can use Disk Utility, Time Machine, and restore the OS. From the Utilities menu you can access Network Utility, use the Firmware Password Utility, and launch the Terminal, which lets you repair user home permissions, launch other apps, and perform other diagnostic tests. To reinstall OS X from the Recovery partition on a Mac, you will need an active internet connection, that’s because the recovery drive will download the remainder of the OS from Apple. However, the internet aspect is not necessary if you booted with a full Lion USB installer (or Mountain Lion, or Mavericks installers) rather than the built-in Recovery HD partition, or if you used a disk made with the Lion Recovery Assistant tool (again, or 10.8 and 10.9 recovery assistants). Note that if you deleted the Recovery HD partition, you can not access these features. Probably should have covered this before the Mac OS 10.7.3 debacle! I noticed that this is the same place where user can repair the disc instead of using a bootable disc. Earlier I was not aware about the recovery HD. Knew it while cloning my Mac drive with Stellar Drive clone. The application copy recovery HD along with other applications and data. I bought a laptop from a guy that left town even though I had a computer already, I think this one is cooler. At first I got a screen with a startup now there is a flashing question mark on a folder tried reboot with command/ but still not working. I hope that the hard drive is not corrupted. I have an old MacBook model that works perfectly fine as long as it’s plugged in. Had it since college. I’d love to use again. I cannot remember what the master password is. So I’m locked out. There’s a password on the disc so it’s all encrypted and my brilliant hint isn’t helping either. I’m restarted in recovery mode. How can I wipe the whole thing and not remember how dumb I was in college. I am fairly decent with code. Just rust at times. I can’t get past this encrypted disc. Any help is appreciated. 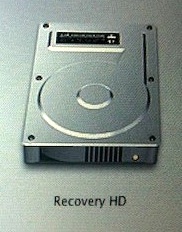 Do the HD Recovery still available when the hardisk was formated?